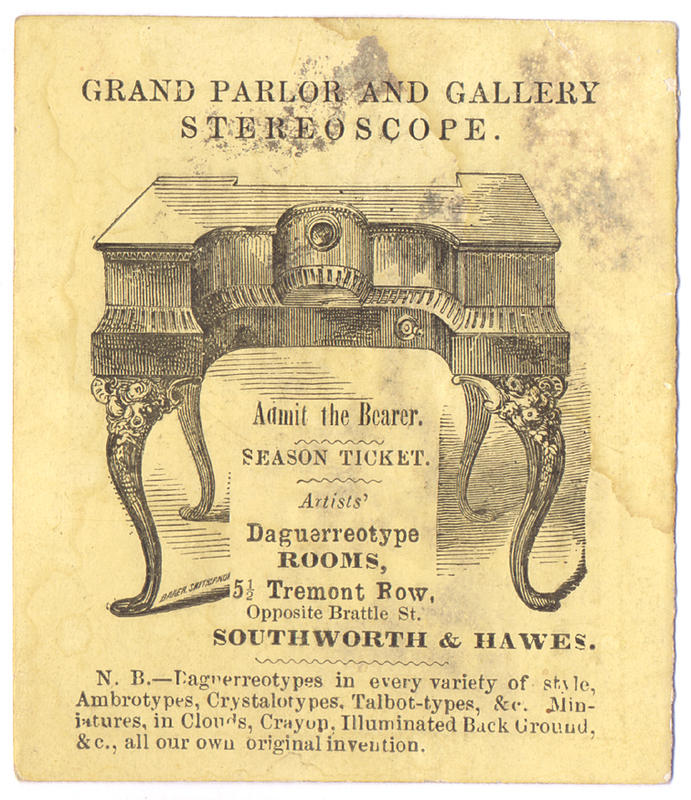 Grand Parlor and Gallery Stereoscope. / Admit the Bearer / Season Ticket / Artists’ Daguerreotype Rooms, 5 1/2 Tremont Row , Opposite Brattle Street, / Southworth & Hawes. / N.B.—Daguerreotypes in every variety of style, Ambrotypes, Crystalotypes, Talbot-types, &c. Miniatures in Clouds, Crayon, illuminated Back Ground, &c., all our own original invention. 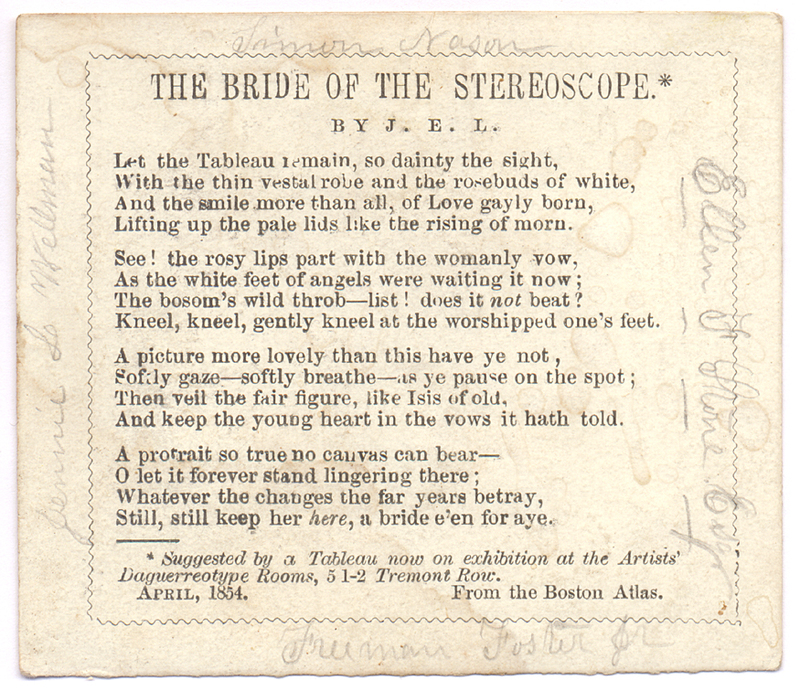 The Bride of the Stereoscope. * / by J. E. L.
Lifting up the pale lids like the rising of morn. The bosom's wild throb–list! does it not beat? Kneel, kneel, gently kneel at the worshipped one's feet. And keep the young heart in the vows it hath told. Still, still keep her here, a bride e'en for aye. * Suggested by a Tableau now on exhibition at the Artists' Daguerreotype Rooms, 5 1-2 Tremont Row. April, 1854. From the Boston Atlas.